Our selection of hedging species suitable for growing in a situation of full sun, many of these species are evergreen and/or flowering at certain times of year for maximum interest. We have a wealth of garden hedging varieties suited to sunny spots in the garden, and our native hedging is perfect too. If you are planting in a real sun trap try to incorporate plenty of organic matter before planting to conserve moisture for your new plants. Hedges For Sunny Sites – Planting in a sunny site does not mean that one is restricted to drought tolerant plants careful and judicious watering until the new plants are established allows for a far wider choice and selection of colourful shrubs and trees. Adding good quantities of organic matter to the soil will also help plants to establish without too much stress. Mediterranean plants such as Lavender are perfect hedges for sunny sites, they will positively thrive activating the easily recognisable scent of this popular plant. Rosemary is another very attractive flowering shrub common to Southern Europe that love a sunny spot to bring out the best in both their flowers and the heady scent they produce. Russian Sage more commonly known as Perovskia Blue Spire is a very popular choice as it produces its pretty violet blue flowers late in summer giving colour when others are fading. Hedges for sunny sites planted with flowering shrubs alongside scented shrubs and flowers will act like a magnet to wildlife such as bees,butterflies and birds for the pollen and nectar these delightful plants produce. Sunny and dry areas do not necessarily mean that only small shrubs and plants can cope as there are quite a few trees with interest that can flourish in this area. All of our popular mixed native hedging are suitable hedges for sunny sites and we also sell the species individually if you prefer to make your own with plants such as Hawthorn, Blackthorn, Hazel, Guelder Rose, Buckthorn and of course Wild Roses. All of our Conifer Hedges are suitable for full sun including the enduringly popular English Yew. We stock a wide selection of other evergreen hedges for sunny sites such as Box Hedging, Olearia, Euonymus, Elaeagnus and Laurel Hedging Plants. 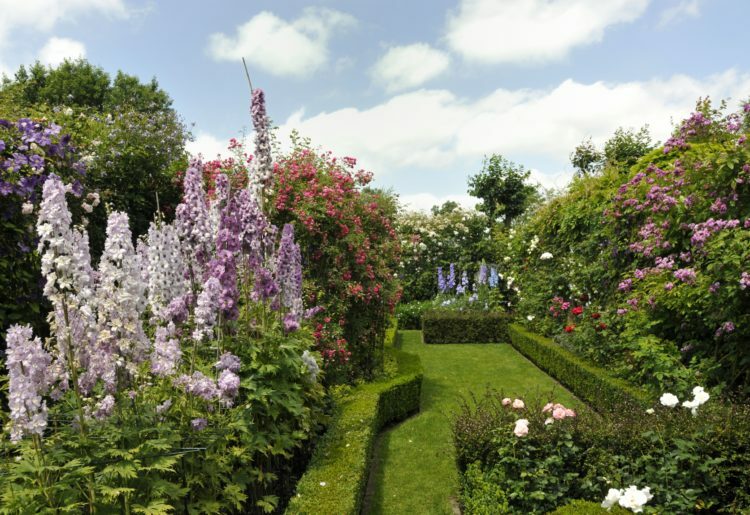 There are also climbers such as Wisteria which can be grown up a sunny wall or trellis giving added interest to perhaps an unsightly or rather plain structure. Consistent watering is the only criteria to growing any plant in a sunny site as this is essential to them getting a good deep root system growing in their early years. Our experienced sales team will be very pleased to help if you have any questions about hedges for sunny sites, or any other plants from our range, give them a call on 01580 765600.